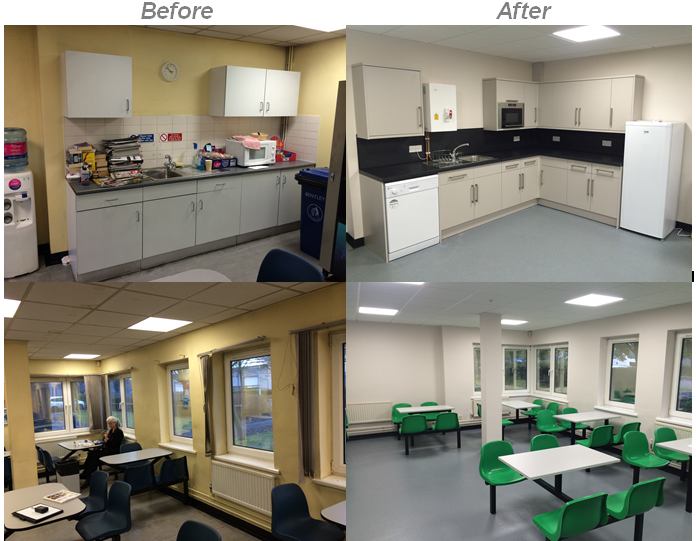 Storage Concepts have just recently refurbished a small canteen area in Coalville. We supplied and installed new kitchen units, flooring , seating and decoration. Interior Concepts, the sister company of Storage Concepts, offer a whole range of contemporary office interiors and furnishings. All of which combine function with stunning design. We also have experienced teams of interior designers, project managers and installation experts who specialize executing projects from planning through to the final fit stage. Whilst causing minimum disruption to the day-to-day running of your operation. Storage Concepts and Interior Concepts’ offices are located in Melton Mowbray, Leicestershire. If you would like a quote please contact us at: 01664 410 414 or fill out our contact us form.